SHARJAH, United Arab Emirates--(BUSINESS WIRE)--Sharjah, the third largest emirate in the United Arab Emirates (UAE), has shed the spotlight, once again, on the role of the youth in establishing long-term peace in the MENA region. The emirate has hosted key discussions with more than 600 senior officials and 60 key speakers from around the world, who have strongly asserted that this will be possible only when the region’s governments are more participatory, and make the youth equal partners in the decision-making process. 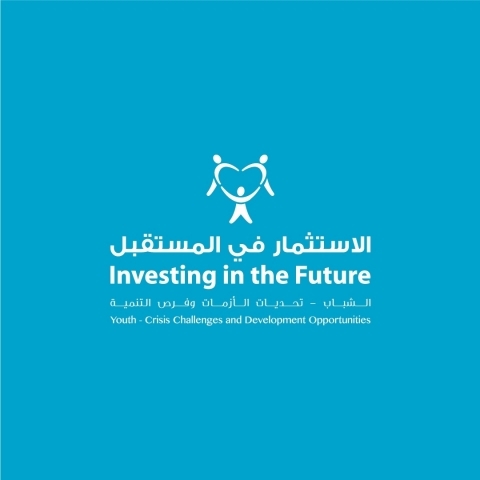 These crucial discussions were held at a two-day conference, ‘Investing in the Future’ (IIFMENA), organised by the leading Sharjah-based global humanitarian organisation, The Big Heart Foundation (TBHF) under the theme, ‘Youth – Crisis Challenges and Development Opportunities’. The conference witnessed participation of over 3,000 attendees, and heard from senior diplomats and youth rights advocates like Nobel Peace Prize winner, Nadia Murad, and Ahmed Aboul Gheit, Secretary-General of Arab League. Through high-level panel sessions and youth parliaments, IIFMENA 2018 has highlighted the pressing need to protect and rebuild minority groups in MENA, explored ways to promote short- and long-term rehabilitation, and promote youth skills and opportunities. Furthermore, IIFMENA emphasised the need to regain the youth’s confidence in the international community. The conference has taken the first step in the direction by crystallising its two-day discussions into the ‘Sharjah Declaration for Youth Empowerment’ – a nine-point action agenda to empower youth, which Sharjah has called on MENA member states and the international community, to collectively adopt and implement. Working from the frontlines of the conference, its young delegates also put forth the ‘IIFMENA Youth Statement’ – a set of 15 recommendations, which chart a more inclusionary approach to development in the region by focusing on harnessing opportunities for the youth. IIFMENA 2018 was held in partnership with UNHCR, UNDP, UNICEF, UN Women, NAMA Women Advancement Establishment (NAMA), and SOS Children’s Villages. It is organised once every two years to shed light on a pressing humanitarian issue in the MENA region.